...AVAILABLE FOR YOU AT SCUBA SHACK! The air integrated G2 uses the same menu structure, the same simple 3-button control system, and the same diver-friendly functions that helped earn the Galileo its reputation as the most technologically advanced computer available — and also the hands-down easiest to use. The G2 comes with a slim-line casing design and a stunning full-color TFT (Thin-Film Transistor) LCD display screen. The sleek fiberglass-reinforced thermoplastic casing offers high-impact strength and good UV resistance. The high-resolution TFT screen produces vibrant colors and crisp digits that radically increase readability. Choice of screen display configurations. Customize your data presentation with Light, Classic, Full and Graphical screen options to suit your individual diving style. 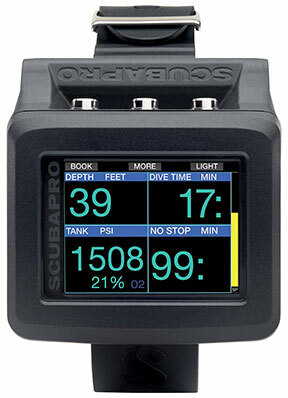 SCUBAPRO offers the only dive computers in the world that take heart rate, skin temperature, breathing rate and water temp into account during a dive. This provides you with extremely reliable no-stop and decompression stop calculations, even under the most demanding diving circumstances. These patented features are available ONLY on SCUBAPRO computers. Intuitive, reliable and bulletproof, SCUBAPRO has combined everything you love about the Galileo with everything you’ve dreamed of in the G2. As vibrant and amazing as the world around you, the G2 stands at the pinnacle of full-featured, full-color dive computing. 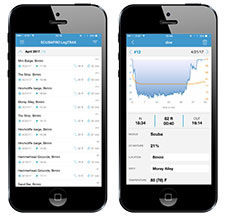 LogTRAK App for mobile devices is available on the Apple App Store or on Google Play- or click here to download the latest version of LogTrak for Mac or PC. Each G2 comes packaged with a Read First manual, a 3M foil screen protector, a soft box, a USB cable and a retractor clip. LED Transmitter & Heart Rate Monitor.